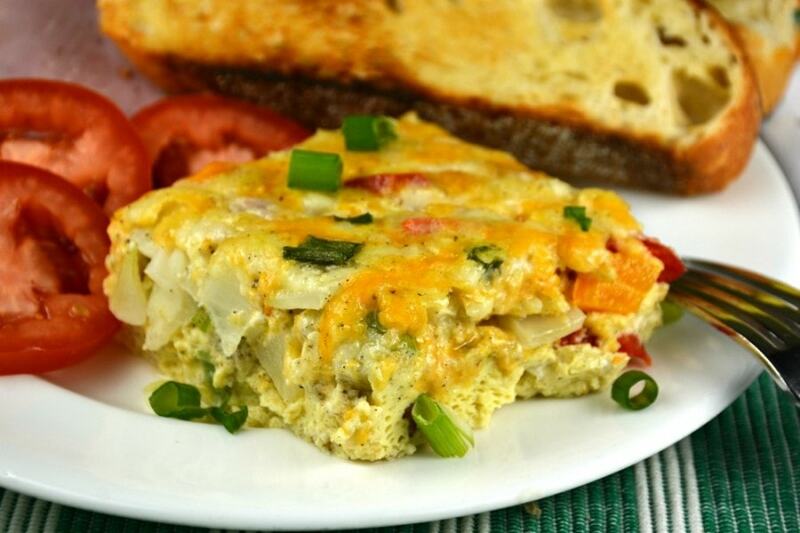 This Cheesy Oven Baked Western is a favorite for breakfast or even dinner! Full of ham, onions, peppers, cheese and surrounded by egg! Total perfection! This recipe started as a way to use up leftover ham. 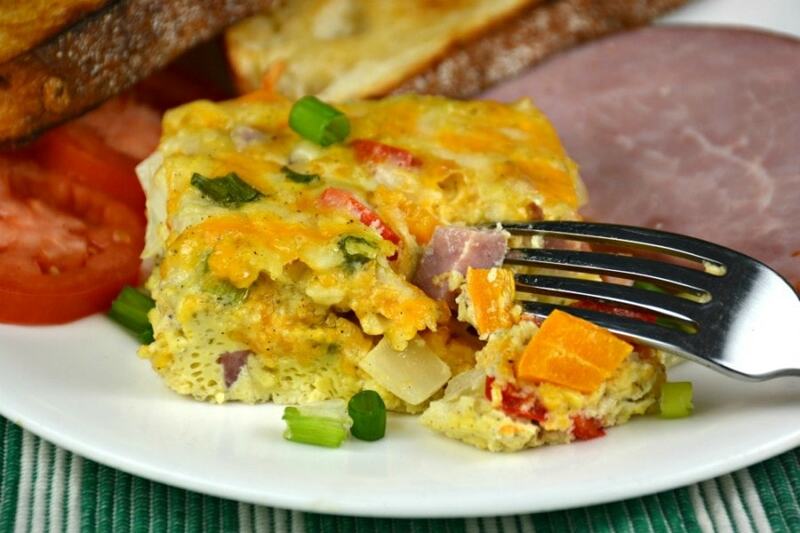 We enjoy this Cheesy Oven Baked Western recipe so much I actually buy bigger hams than we need just to make sure I have extra to make this the next day for breakfast or brunch! Also, I don’t always have heavy cream in the house so we use an extra 3 tablespoons of milk instead. Honestly, my husband never uses cream when he makes this and I always try to! The decision is up to you! I have also sautéed mushrooms with the onions and this recipe still turned out great. You can add peppers, little broccoli florets or spinach! Cooked sausage or bacon! No matter which ingredients you choose the results are the same. Absolutely delicious! Even though it is no longer a western in the truest sense of the word after you do all that! Regardless, I am sure no one will complain! 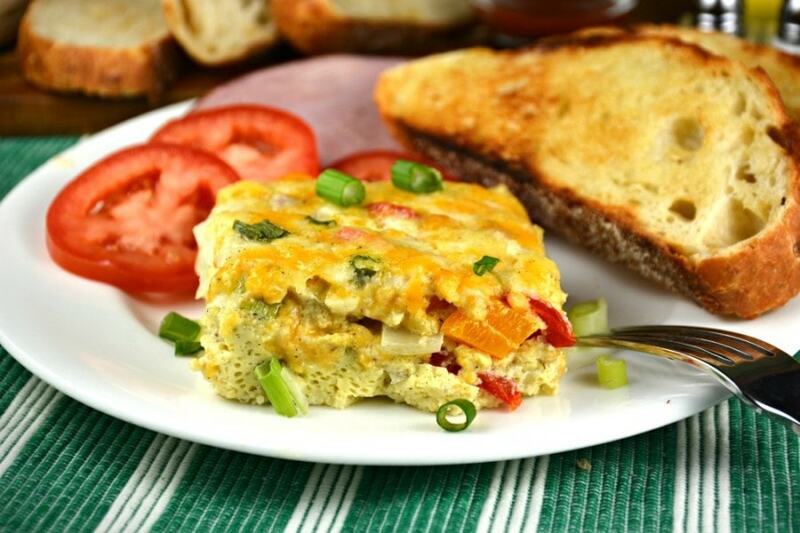 Besides this Cheesy Oven Baked Western I have some other breakfast favorites for you to check out below. Hopefully you find another recipe you think is worth trying! 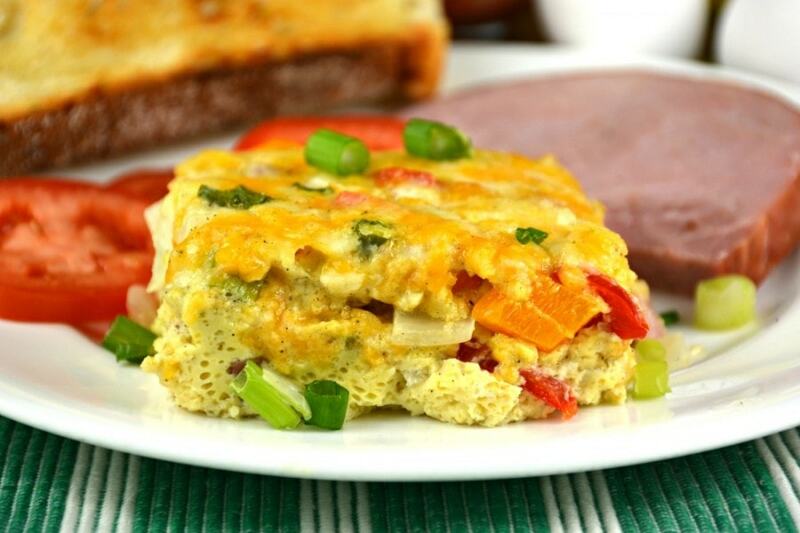 Have a look at our video below so you can see just how easy this morning casserole is to make! Preheat the oven to 350 degrees. Prepare an ovensafe dish with butter or cooking spray. Set aside. In a small skillet, on medium heat, melt the butter and saute the onion until softened. In a medium sized bowl whisk together the eggs, milk and/or cream, sour cream salt, pepper and ground mustard. Pour 1/2 of the egg mixture into your prepared dish. Sprinkle evenly with the sautéed onions, peppers (if using) and 1 cup of the diced ham. Top with 1 cup of shredded cheese. Pour the remaining egg mixture on top. Bake for 55 minutes then sprinkle with the remaining 1 cup of shredded cheese, 1/4 cup of ham and chopped green onions. Continue to bake for another 5-10 minutes until the center is set when gently shaken or a toothpick comes out clean. Broil until the cheese is nicely browned. Allow to rest for 5 minutes then serve. Enjoy! I am so sorry to hear of your MS diagnosis. I wish you all the best, and so glad you have a loving husband and son to help you. I keep you in my prayers. 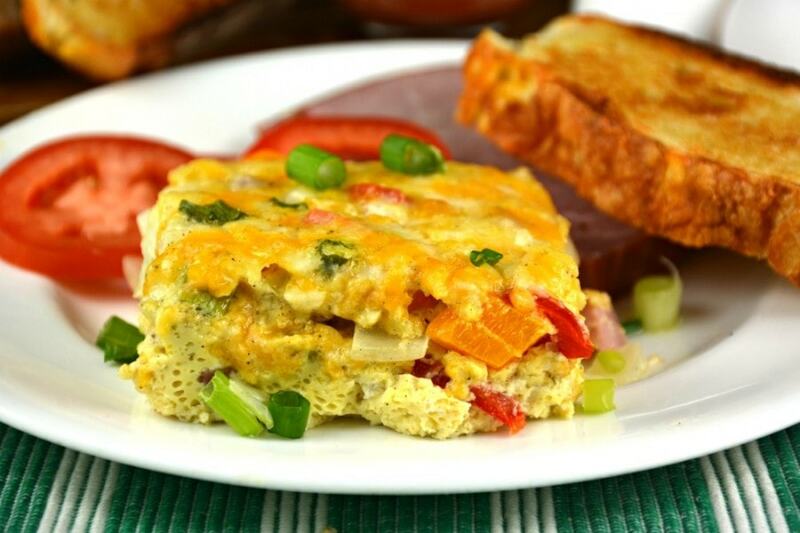 Is the Western Omelet made in an 8/9-inch baking dish, or a 9×13-inch dish. It looks so good. I can’t wait to make it!